Nothing better to inspire a bouquet than nature itself! Our Clear Blue Skies Bouquet is arranged to reflect the beauty of a beautiful day where the sun is shining without a cloud in the sky! 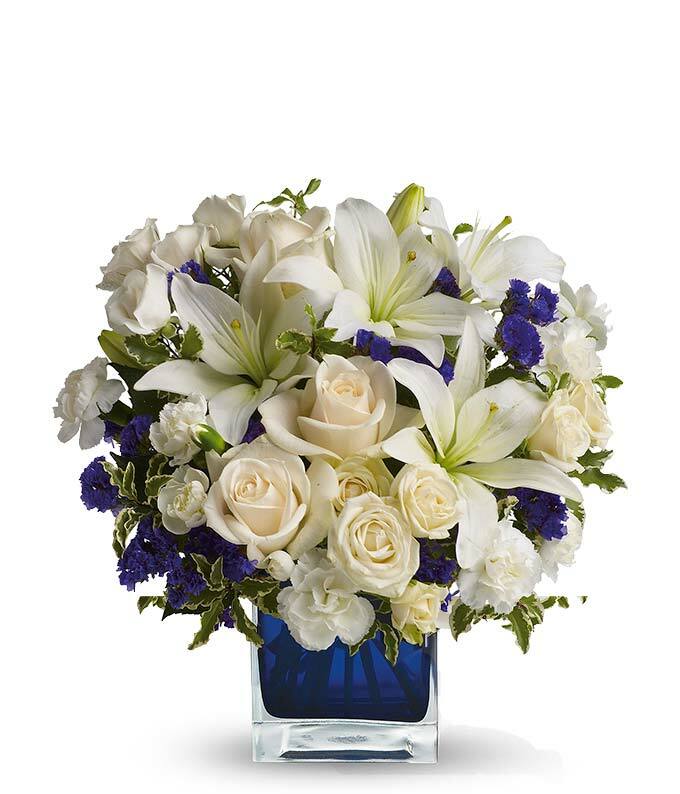 Pearly white lilies surrounded by creme white roses purple statice invoke happiness in any beholder, whether they're displayed in a home or at an office, they're perfect for any kind of day.